With a selection of 100-Yen Stores (equivalent to Dollar Stores in the U.S) to choose from, I've been able to get in some thrifty holiday shopping while I visit here in Japan. 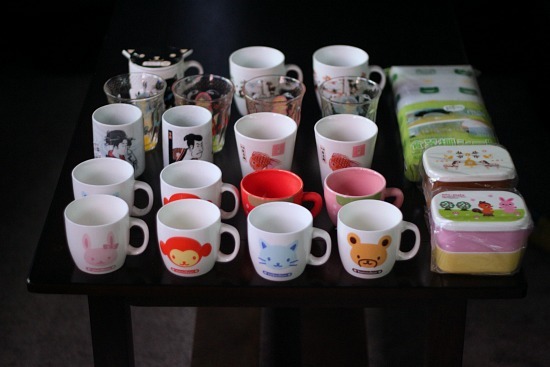 My favorite of the 100-Yen stores I've visited was Seria, which had an aubundance of colorful, quality home supplies. Tomorrow I have another giveaway and on Wednesday I'm sharing a special look at an enchanting vintage shop we encountered in the mountains in Okinawa. I can't wait to share them with you! Wow - great haul! You're so lucky to be in Japan! Wow, such amazing finds! I once visited Japan with my dad, but I was only 11 years old and needless to say failed to do the proper amount of shopping. 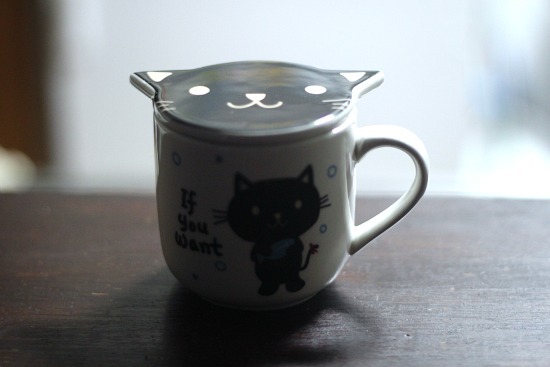 I have to admit I'm a teeny bit jealous of the people getting the bentos, cat mug and those bowls. 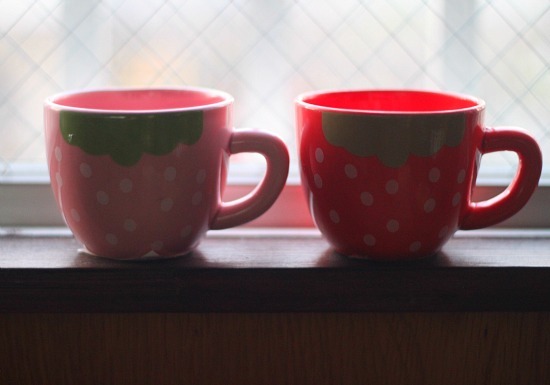 Oh, and the strawberry mugs of course! I wonder what is mine??? It's so exciting! 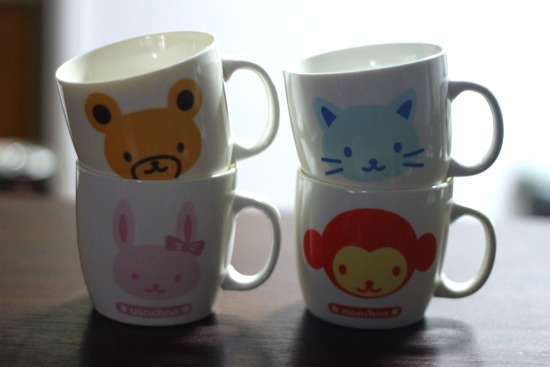 If only dollar stores in the US had these adorable items, the world would be a better place. I am very, very excited to learn about 100 Yen stores. I'll be in Japan in April and will search them out! Blue Eyed Night Owl: Thank you! I need to find a way to stock these cute goodies in my own shop. 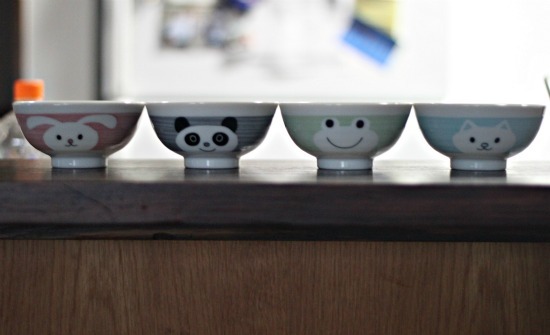 I seriously want a "cute things from Japan" section. Katy: April is a beautiful time to visit Japan! That's exciting. 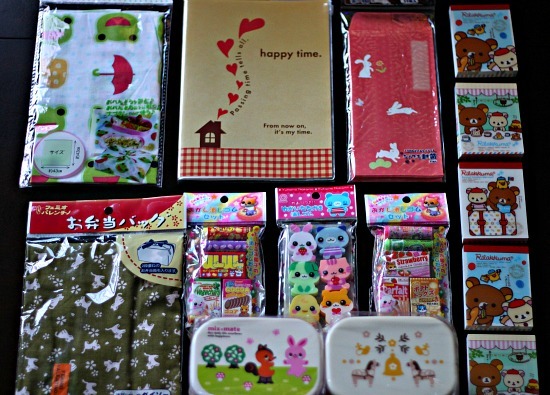 You'll love the 100 Yen stores. And...everything else :) I already can't wait to come back and visit the mainland. 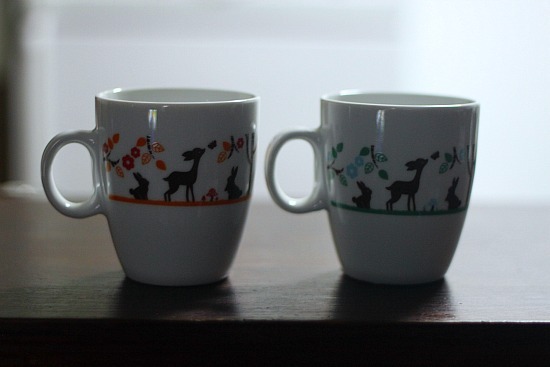 Love the deer and bunny mugs! did you bring lots of extra suitcases with you? japan is so amazing, I loved the "$1" shops when I was there, too. Oh oh oh, this is bringing me back. I bought so many 100-Yen goodies, I had to buy a backpack while I was there because it all wasn't fitting in my luggage. So glad you're having a great time! OMG!!! 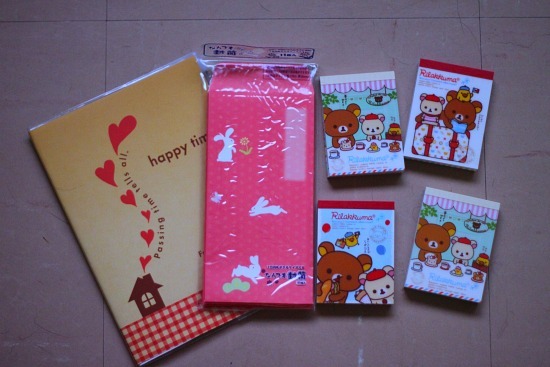 All those items are cute little treasures. I bet your family will be super happy with their gifts. I hope you keep getting the most out of your trip. I'm enjoying it with you. Melina Bee: I absolutely love them, I feel sorry for my host, I keep dragging him into them! Jackie: I'm almost to that point...I packed one big empty purse just so I could bring stuff back for everyone. 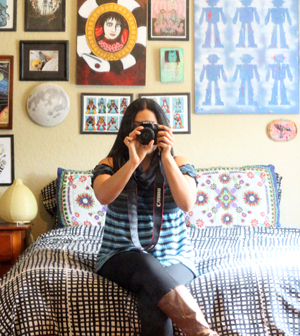 Yadira: Still glad you're enjoying the photos. You'll have to save up and come to Japan one day too! You'll love it.